This article will help you understand the advantages and disadvantages of an S corporation, which is an important first step in determining if the S corporation is the right option for your company. 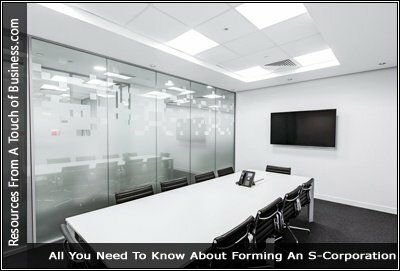 The first thing to remember is that an S corporation is simply a for-profit corporation that elected to be taxed under Subchapter S of the Internal Revenue Code, making it a “pass-through” entity for tax purposes. So you’re looking to start your business? Don’t know what legal structure to go with? Here are 6 benefits of forming an S-Corporation. With the S Corporation election deadline approaching (March 15, 2016, for existing businesses), this is a good time to explore the advantages of electing S Corporation tax treatment to see if it’s right for your business.